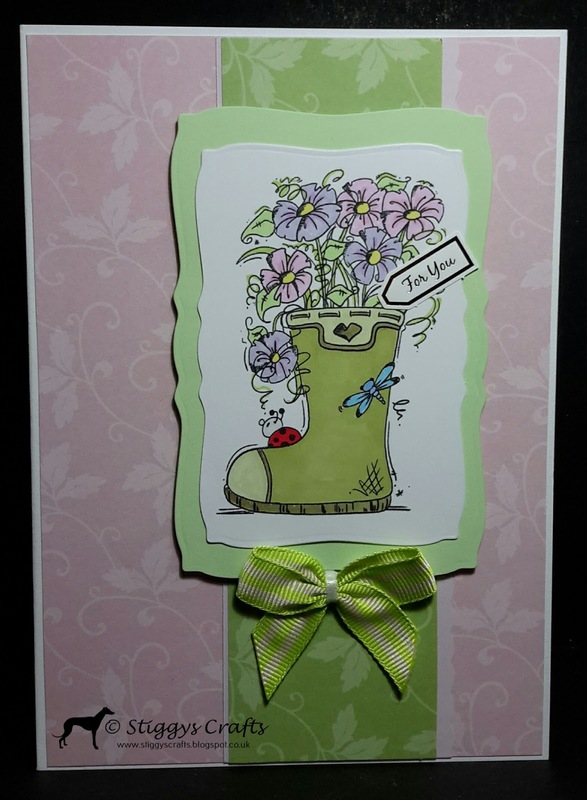 Stiggys Crafts: Old Boot for Mother in Law! Old Boot for Mother in Law! Great boot coloring. I used this boot also. I love yours and your mother in law will love it. Thanks for sharing over at Catch the bug. Such a lovely color combo! You used the sketch to perfection! Thanks so much for joining us at Catch the Bug Challenges for Stella Says Sketch. 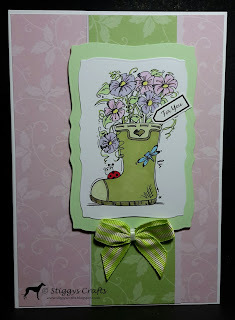 Great card, adn beautiful use of our sketch, thanks for joining our challenge at Catch the bug blog.